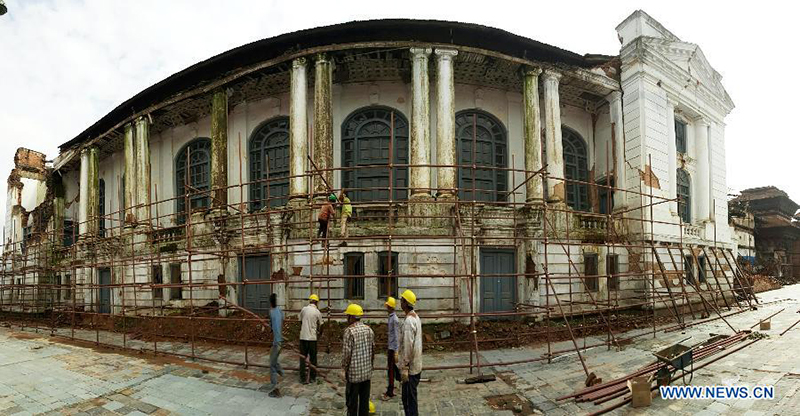 KATHMANDU, Sep 12: The reconstruction of the quake-damaged Gaddi Baithak at Basantapur Durbar Square is to begin from this month. According to Hanumandhoka Management Office Chief Aruna Nakarmi, the reconstruction of the iconic neoclassical building situated in the UNESCO World Heritage Site area would be done by the US government. Nakarmi said that the technical non-profit engineering expert Miyamoto Global Disaster Relief, however, would oversee the reconstruction of the building built by Rana Prime Minister Chandra Shumsher. The retrofitting of the building parts damaged by the 7.6 magnitude quake is expected to cost Rs 70 million and will be completed within two years, she added.